With Gassho before a body scanner, sitters will enter the 3-D Holographic Zen Hall from wherever they are. Instantly, a high roofed room, Manjusri Bodhisattva at its center, fills the senses and the 10 directions encircling them. Lifelike images of a hundred others who have sat that day (some hours earlier in distant time zones) occupy projected Zafus all around, and the scent of incense perfumes the air. A young priest walks through the room straightening slippers (all made of photons), guiding newcomers to their places. Biosensors in the sitter’s clothing adjust posture with a touch lightly felt at the small of the back. A teacher in far Japan, as if a few feet away, offers a talk and responds immediately to questions. Rising from Zazen, all recite as one the Bodhisattva Vows, prostrating toward Manjusri now seen hovering midair as vast as a mountain. The identical scene appears in Holospaces in every sitter’s home or private place, including for one fellow sitting zero gravity on the long voyage to Mars. Though sounding like Isaac Asimov meets the Lotus Sutra, researchers at the holographics lab of one of Japan’s best science universities tell me it is just a matter of time now. The ‘HoloZendo’ is not a figment of the imagination, and may be available to carry in one’s pocket. If so, it will not be the first time that new technologies have impacted Buddhist practice. The printing press in China and Japan in centuries past first made sacred texts widespread both for laypeople and monastics, and available to hold in one’s hands. The airplane, telephone, sound and video recording allowed 20th century teachers and ancient teachings to cross national borders without need for perilous sea journey, linking monasteries in the far Himalayas to practitioners in Texas, bringing Dharma around the world. Now, in the first years of the 21st century, the technology available for Buddhist practice is not quite yet the “3-D HoloLotus Land” … but it is not too bad. What’s more, with a touch of ingenuity and creativity (plus the virtues of patience and perseverance), many of the defects and weaknesses inherent in its use for Buddhist practice can be overcome. Like the printing press, modern means of communication are overcoming various obstacles that have limited the teaching and dissemination of Buddhist practice since the Buddha’s time, especially to laypeople outside monastery walls and those in distant places. Even in the ‘Golden Age’ of Buddhism, conditions were not so ‘golden’ for millions of non-monastics unable to abandon their homes and families to travel to distant mountaintops in search of instruction. While ‘Home leaving’ is the Path for those who can, millions more were bound to home and the duties of caring for family … left hoping for future birth as their one chance to pursue the Way. Would the Buddha have changed his views on the place of “householder” practice if modern possibilities were available? Certainly, the intangibles of “on site” practice … observing the teacher and fellow monks in their daily actions and behavior, living and practicing communally from day to night … cannot be replaced by modern technologies as they now exist. But do other pluses and strengths compensate in important ways, with overall benefits which may sometimes surpass the traditional in key aspects, especially for lay practice? Our Treeleaf Sangha (http://www.treeleaf.org), now entering its fourth year, may be the world’s most “online” Buddhist Sangha.. Our ‘mission statement’ describes Treeleaf as “a practice place for Zen practitioners who cannot easily commute to a Zen Center due to health concerns, living in remote areas, or work, childcare and family needs, seeking to provide Zazen sittings, retreats, discussion, interaction with a teacher, and all other activities of a Zen Buddhist Sangha, all fully online.” People from over 40 countries, as far away as Kazakhstan, learn the Dharma, share their lives, and sit Zazen together. A few members symbolize who we serve**: Miriam was a 40 year Zenny who came like clockwork to a twice weekly Zazen meeting in Arizona. However, following a stroke, she was left nearly bedridden, unable to make the drive. Almost immediately, activities with the group, all sitting and social contact, were substantially cut off. By learning to use a computer, camera and microphone from her home, Miriam was able to sit with us any day of the week, study Buddhist texts with us, laugh and cry with us. Likewise, Ann is a single working mother holding down two jobs, with no time to visit the Buddhist group gathering blocks from her house. She is able to access our sittings whenever she has the time, 24/7, plus build friendships with other working parents of our Sangha facing similar struggles. Tom is a soldier in Afghanistan who sits with us between combat missions. Bill is a medical volunteer in Africa with no Buddhist Sangha for thousands of miles. Lee was hospitalized for cancer treatments, yet was able to prepare for Jukai with us via video netcast viewed from her hospital bed. She was supported throughout her illness by many of our other members also facing major health issues. Sven attends his local twice monthly Zen meeting in a Swedish small city, but finds he wants more. Through our Sangha and our two way “see and be seen” video Zazen hall (not a ‘3-D Holosuite' yet, but on its way! ), he is able to both sit and share social tea with Zenfriends any day, join in our Rakusu sewing circle, Precepts study circle and more. These folks are typical of the people who sit with us. It could be argued that most Buddhist Centers in the west have significantly failed the thousands of interested and dedicated practitioners who just cannot come to sittings because life intervenes. We encourage our members to attend “in the flesh” Zen meetings in their communities whenever they can. It is wonderful to sit under a roof with others, able to share that kind of interaction. However, it’s just not possible for so many. What is more, I have been surprised at the rich, intimate, nurturing environment that can be established in a so-called “online” Zen community. Certainly, there are some things we miss, beginning with the simple ability to hug a member during a life emergency or adjust posture by touch. Yet, our structure offers benefits too, especially in comparison to many non-residential, once or twice weekly or monthly Zazen groups where people come to hear a short talk, then sit silently before heading home, with little chance for social interaction beyond a few minutes before and after. In contrast, our Treeleafers communicate any day, every day, as much as they wish, with fellow Zennies who become real friends over time. People share the twists and turns of their lives, support each other during the ups and downs. We often see people who are more inclined to reveal themselves and share their lives over the internet (given the relative anonymity it can provide), and to drop the masks and facades that sometimes people wear dealing “face to face”. People do open up, often about events in their lives that they have told no one else. We have various video opportunities to chat with each other (including two way video Dokusan), but much of our Sangha’s communication is by written word in our “Forum”. While intonation and body language are unseen, our very diverse, mature, literate, gentle, lovely members are generally superb communicators by writing, and the written format allows a richness of expression, taking of time, depth and thoughtfulness that can be missing from casual oral chat-chat. Our discussions on the Dharma, on Practice and all life are serious business. It is a bit like the story of the blind man who, deprived of his ability to use some senses, learns new paths to richly contact the world through his remaining senses in ways the sighted often ignore. Although “Leafers” are denied aspects of physical contact and communication, they laugh and cry together, support each other, give each other a kick in the pants when needed, are truly Sangha brothers and sisters. At least, as much as any lay Sangha I know. We have problems too, things we must be very creative to overcome. Sometimes, we have succeeded in transcending the barriers presented by our medium, sometimes not. Many of the problems are exactly the same as most Buddhist Sangha face in the West. For example, as with any group meeting in a building, we have a body of very regular members, but so many other people who come for just a few days or weeks before drifting away. This is just the case at every Zen group I have encountered in America, Europe or Japan. Taigu and I wish we could entice everyone to stay and benefit from this wonderful Practice, but it is not possible. For that reason, we are developing certain resources to get people better involved and feeling ‘at home’. For example, a weekly casual ‘tea meeting’ gathers to share and shoot the breeze by sound and video link, and we are attempting to organize many other online social events as well. We use the “buddy system” so that, if any member enters the hospital or is otherwise unable to communicate in an emergency, her “buddy” will be able to alert us. We are also hammering out a “mentoring” system by which more experienced Zen practitioners befriend and ‘take under wing’ newcomers just getting started. Our art and music circles encourage our aspiring artists, poets, writers and musicians to share their compositions with the community, and anyone is welcome to try. Certain specialized online study groups, in subjects such as Kesa sewing, Buddhist text reading, Oryoki and the like, help build community, as will certain charitable and “engaged” social projects that members are encouraged to join. Finally, our one true “rule” of the Sangha (besides our “rule” to sit Zazen each day) is that members must mutually maintain “gentle speech” in all communication, even when voices disagree on hot issues. Perhaps more than anything, this allows a warm, welcoming and non-hostile atmosphere for new and old, where people can open up without fear. This year, Treeleaf Sangha took the groundbreaking step of ordaining three individuals, and their training will occur largely by means of modern communication media. We are now engaged in a multi-year course of education, using both new, innovative methods and ancient, traditional methods, combining ‘at a distance’ and ‘in the flesh’, with the one goal of turning these people into ethical, skilled and equipped Soto Zen teachers, ministers and counselors. We know that we have to "get this right" because we are breaking new ground, and it is a heavy responsibility. Our goal is, no more and no less, to turn out Wise and Compassionate, fully ordained priests with the knowledge, skills and ethical standards to serve their students well. Last edited by Jundo; 01-22-2018 at 02:06 AM. Great stuff! I'm very glad to be a part of this sangha. Sounds absolutely tophole old bean, where can I sign up? Oh, hang on. I'm already here! Wonderful! Thank you for this and countless other things you do (and non-do!) that go unnoticed or unsaid. Great article Jundo Sensei! Thanks for allowing us to be the first to preview it. I will definitely be picking up the hard copy once it hits the newsstands!! A great description and a lesson for all online communities of practice.... not just Buddhist ones! Great overview of Treeleaf and it's place in the virtually real world. Great stuff. This is a real sangha indeed. And a privilege to be in all of your company. Thank you for giving us the opportunity to be members of your sangha. "Our" Sangha ... Which is just all of us, and we the Sangha. All just Sangha. And so with Buddha ... and so with Dharma. I agree! It is a great honor to be a part of this Sangha! The more I read the posts and comments from teachers, brothers and sisters of the Sangha, the more happy and grateful I am to have found this Zendo and to be part of it. Great article - not sure how I missed that one. "Rabbi Laura Baum will lead a supersize Passover Seder on Saturday. As hundreds of worshipers follow along, she and a fellow rabbi will recite blessings over four cups of wine, eat matzo or unleavened bread, and dip parsley into salt water to tell the story of the Israelites' exodus from Egypt and liberation from slavery. Rabbi Baum's Seder will be conducted in cyberspace, as her guests—from New York to New Zealand—join in at OurJewishCommunity.org, the online congregation she co-leads. Rabbi Baum, 32, has been keeping close track of the number of people who will participate. So far, the guest list is up to about 400—although she need not worry about any last-minute crashers. "It is not as if we will run out of gefilte fish," she says. Love the post, particularly the picture in the beginning. Inspiring words. I am glad that I have found this Sangha which makes me feel at home. Thank you Jundo, I'm so glad to have found Treeleaf. When you get the mentoring program up and running, I could really use a mentor and would love to have one. I think this is the right place to say how thankful and lucky I feel of having found this place after one year of wandering, reading, learning what I could grasp and sitting mostly alone. Thanks to everyone here for the time, the effort and the good will to make this continually grow. I think were always alone even in a crowd of people. Sometimes it can certainly feel that way. You can feel alone in a crowd of people, feel separated from this universe even as you immersed in it, feel sad in the midst of miracles. But you should know it is all an illusion. You are never alone. You can't separate yourself from that crowd, this sangha, those mountains, or anything else in this world. You are inextricably linked to everything in this universe. You don't have to take my word for it, it's all here in this practice. I heard that Ryokan who lived alone in a 12x12 hut was sometimes lonely and maybe even depressed. He could have had a serotonin disorder. An SSRI might have helped his practice. I feel that we are always one even when we are alone. I also feel that we can feel alone when with other people, but we can also feel together and whole when we are with other people. people cause me claustraphobia and to doubt my sanity by continually saying im ''wrong' about my conclusions . just watch the replies and count how many times I would get corrected. Please do not feel wrong or corrected. I just hope you enjoy the company of others, and realize that we are all one. so your saying im to stupid to reply and only the ''wise'' elders know. I'm not saying anyone is stupid. Some are better at writing thoughts than others, especially those who practice a lot. Anyways, it was referring to me not you. They do. The problem is figuring out what part of your tripartate brain knows it. No one can tell you how you FEEL, nor would anyone here try. I have no doubt that you have some sort of social disorder (if you say so) that causes you great distress (although claustrophobia is a fear of enclosed places, not people, crowds, or events.) However, a fear of butterflies don't make them any more or less dangerous and you anxiety doesn't separate you from humanity. Our feelings and reality are two different things. What you wrote there makes my heart hurt a little bit. I hope you can believe that everyone is here to support each other. We all want to be accepted, and we’re ALL afraid of looking stupid. I’m thinking you are NOT stupid, you are absolutely the way you should be. I remember you saying that you live in the woods with your critters. That caught my eye because I live in the woods with my critters too. It takes guts, smarts and independence to live this way, to take care of yourself and your animals. Maybe you don’t get along so well with people. People can be harsh, and really hurt you. Something brought you to Treeleaf, though. I’m guessing you really do want to connect? Please give folks here the benefit of the doubt, and they will do the same for you. If someone gives you a different point of view, it doesn’t mean they are correcting you, or saying you’re wrong. They’re just sharing their thoughts with you. Like I’m doing right now. Please let yourself be at ease and feel welcome here. By the way, I agree that we're always alone, even in a crowd of people. And we're never alone, because we are all one. Both true at the same time! I hope you feel very welcome here as well. Words can not capture reality. We are always wrong when we open our mouths. Yet, we must talk because that is what humans do. Don't worry about what you write here. It's a safe place. We are here for each other. Of course you want to be you, I also want to be me, and I'm pretty sure Jundo wants to be Jundo. Understanding that we are all interconnected does not require giving up who you are. So for instance all humans are made out of mostly carbon, hydrogen, and oxygen (with a touch of some other stuff.) All of our hydrogen was created in the big bang. All of our carbon and hydrogen were forged in a supernova. You, me, the neighbors dog, that weird fish at the bottom of the ocean, at one point we were all neighbors, so close together that it unfathomable to the human mind. We all share heavy elements from not one, but many supernova. We were all together in many different stars. We are not something separate from the universe, we are the universe and we are brothers and sisters forged of the same building blocks. From DNA analysis it's been estimated that every human on earth is related as at least 10th cousins. So even without any Buddhist philosophy, you can't really escape it. However, all this doesn't change the fact that I like Star Wars, reading quietly alone, or taking walks with my son. It doesn't change what art I love, the music I dance to, or anything else about "me." It's not a call to make you into a clone, it's an understanding that fosters compassion and love for those who suffer. Anyway, I hope you have a wonderful day and I hope that one day you are able to walk alone while knowing you are not alone! I think the way Ryokan handled this is that he became more of a child again so the "I" that caused him so much suffering softened a bit, melted away. I would like to comment on a few points. First, life to me too is often certainly not as I want it to be, and this causes me discomfort - I think thats the point of Shakyamuni Buddha, suffering caused by us not living with what is as it is. This not means we cannot try to change things. Second, I believe we all have our opinions and beliefs, thats good and fine, no one of us knows better than the other, I think we all just try to help each other here (which is certainly not the case in every forum on the internet). I furthermore believe that we are indeed alone even in a crowd, alone in the sense of separate, what you see is not what I see, we all have a different past, but at the same time we are all human, we're all sharing a lot and often depend a lot on each other, more that is obvious. But before this becomes a long winded rambling, welcome at treeleaf and thank you for your practice! I don't necessarily think that there is anything WRONG with someone who does not like crowds of people. Social anxiety disorder is a known condition. I like going to parties and meeting people, but I must say being in large throngs of people at theme parks or even the mall is very exhausting to me. Not liking crowds of people, isn't the same as not liking people in general. Of course we know many buddhist lived and live as hermits, and this is how they feel their practice works for them. As far as us being all one; this extends far beyond US just as people as Nengyo described. We don't give up OURSELVES to realize that we are part of a much bigger picture, but perhaps something about "Ourselves" changes with this realization. Each leaf of the tree is very different. Each leaf of the tree is a perfect leaf. Yet without the leaves as a collective, there can be no tree. It is my experience that we can't be happy with ourselves, unless we behave as though we are part of the tree. Being alone on our own branch doesn't mean we are not contributing to the tree in our own way, yet we are still as necessary to the tree, as the trunk and the roots and the rain and sun are necessary to us. Two posts on 3-D advances that, within a few years, will begin to radically change the "online Zendo" experience ... and I expect that, in the near future, the device will be smaller, perhaps even like a contact lens. Because the entire field of vision is replaced (unlike when merely watching a screen at a distance), the brain can be actually fooled into believing that what it is seeing is actual sight! Unveiling technology that generates touchable 3-D imagery, developers said Monday objects that only exist in the virtual world could be manipulated as if they were real ... “Touching is an important part of human communication, but until now virtual reality has lacked it,” Chief Executive Natsuo Koda said. “This technology will give you a sense that you can touch objects in the 3-D world,” said Koda, a former virtual reality researcher for Sony Corp. It works by fooling the brain, blending what the eye sees with different patterns of vibration created by a small fingertip device, said Norio Nakamura, the inventor of so-called 3D-Haptics Technology and chief technical officer at the firm. Yikes! The future is here. Awesomely awesome. Thanks for sharing this, Jundo! Over the next couple of years we'll start seeing a revival of virtual reality, like in the 90's. Only this time we have the technology, band with and programming tools to make it happen. A few companies like Oculus, Sony and Samsung are developing headsets that will put you inside movies, games and educational stuff. Still, it's good news. I'd love to sit zazenkai jacked into a headset and have a nice virtual reality experience. 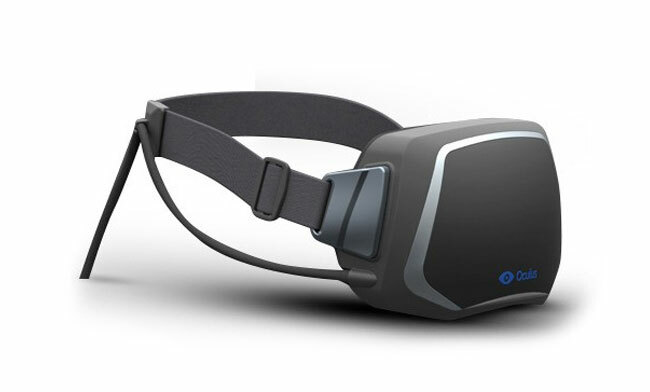 Like I said, Samsung has developed a VR headset... that will work with a smartphone!! That is awesome because VR can hit all markets without super expensive hardware to boot. So far is just an experiment, but looks promising. Here's more info and a nice video. Last edited by Kyonin; 09-03-2014 at 09:52 PM.